The Yandi & Spinifex Township Water Treatment Plants use gas chlorination to achieve disinfection of potable water for township use. The chlorination plant upgrade provides concentrated chlorine solution for dosing into the supply at the Potable Water Storage Tanks. 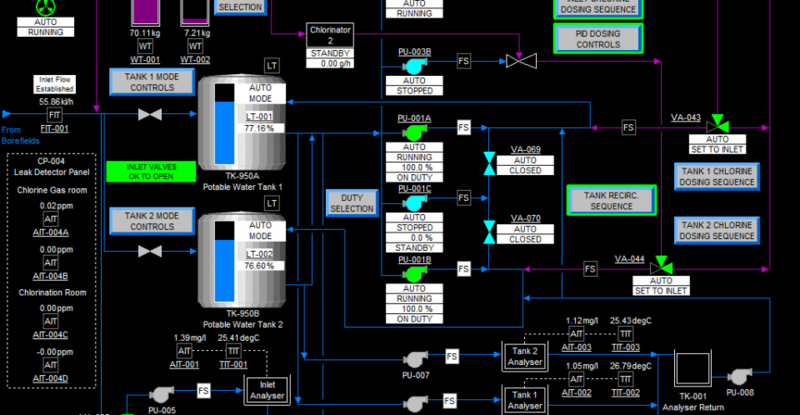 The system monitors the storage tank’s chlorine residual and provides critical control point (CCP) interlocks to the Potable Water Supply System to maintain acceptable water quality to the townships. 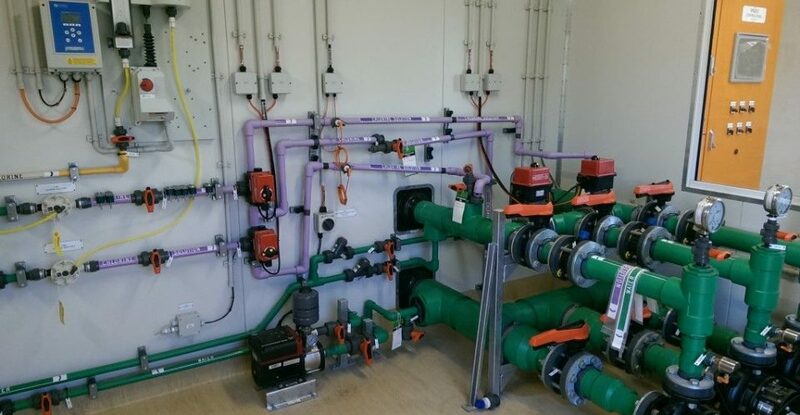 The Chlorination Package Building is built to BHPBIO standards in regards to Civil, Mechanical, Electrical and Control & Instrumentation standards. KAPP Engineering has a long standing ongoing relationship with Hydramet for supply of Water Treatment Systems. 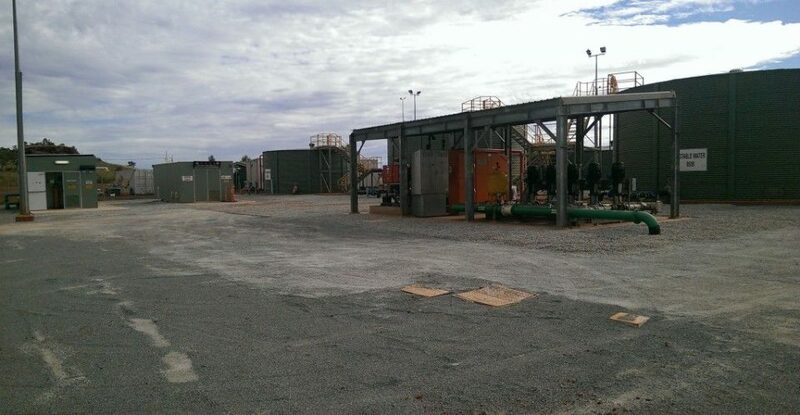 In this instance KAPP provided Hydramet design, programming and commissioning for two independent control systems at the Yandi and Spinifex Township sites. 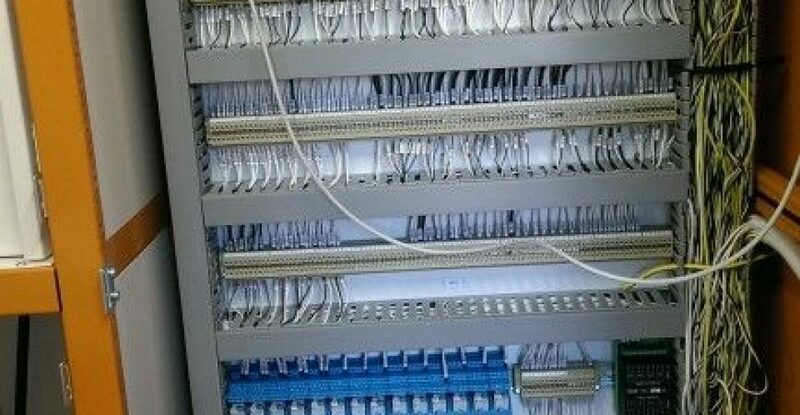 Each site utilises an Allen-Bradley CompactLogix PLC with PanelView Plus HMI. KAPP worked with Hydramet with input into the Functional Description for both the Township sites. This included the generation of comprehensive I/O Lists, Alarms Lists and FAT documentation. 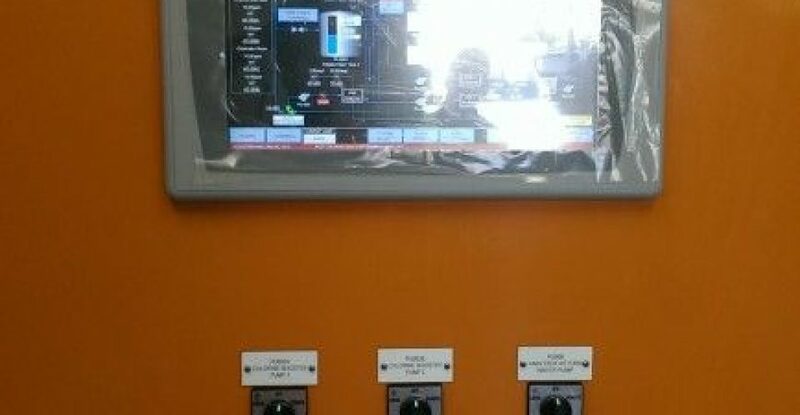 Programming was performed to BHP site supplied standards for both PLC and HMI. 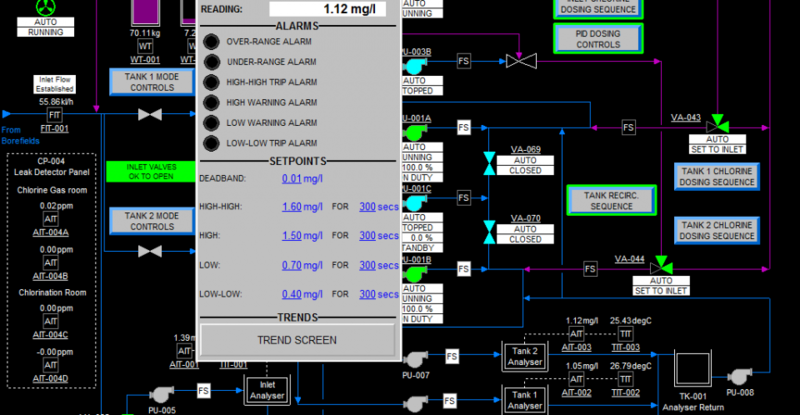 The HMI was designed to operate similar to the site standards for CitectSCADA with similar symbols, objects and P&ID layout. Intuitive and clutter free P&ID views were supplied for each site with detailed equipment information provided utilising pop-up windows. All works supplied was progressively witnessed and accepted by BHP during the development phase of the project and when later handed on post commissioning. The control system utilised an Allen-Bradley CompactLogix L33ER with 15″ PanelView Plus HMI at each location. The system was designed primarily to operate as a localised system however provision was made with the tag naming structure to permit future integration into the BHP centralised SCADA systems at each site.